Melt dark chocolate, butter and coffee in a double boiler. When melted, mix in 50 g muscovado. Beat egg yolks with the remaining muscovado until pale. Stir in melted chocolate mix. Sift over flour and salt and fold in. Beat the egg whites stiff and carefully stir in. Line 20×20 cm baking pan with baking paper and pour the batter in. Bake in a preheated oven on 180°C for about 40 minutes or until a toothpick inserted comes out clean. Melt muscovado and heavy cream in a double boiler. Add chocolate and butter and stir until it’s melted and smooth. Let cool a bit and pour over the baked brownie. Toss hazelnuts over. Savršen je draga!!! Ja do sada nisam imala sreće sa braunijem ali ovo se mora probati pa kako bude !!! Odlični su Marija. Ja volim moje da su ovako kompaktni, skoro vlažni. Volim seckane orahe onako uzduž da ubacim, ali do sada nisam uspela da kopiram one koje Hleb i Kifla prodaje na komad. Možda tebi uspe! They look so dense and yummy! Ah! look at them! They are so inviting! WOW! 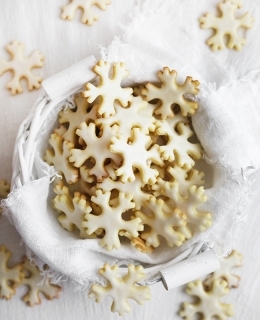 They look fabulous and I love the idea of using the muscovado. I bet they add a wonderful flavour and chewiness. Just genius! The brownies look gorgeous! 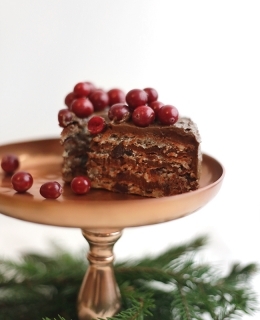 I can only imagine the yummy taste of that muscovado in there…great recipe. They look so moist and tasty. I love brownies. Thank you for sharing! These look so yummy! I’m going to have to see if I can find muscovado, if I can’t is it similar to brown sugar? I really want to make these! Also I want to tell you that finally our lives have finally come into some sembelance of normal although a lot has changed! However, I’ve now the time to actually keep up on my reader and I look forward to catching up here! Yes, you can substitute muscovado with brown sugar. 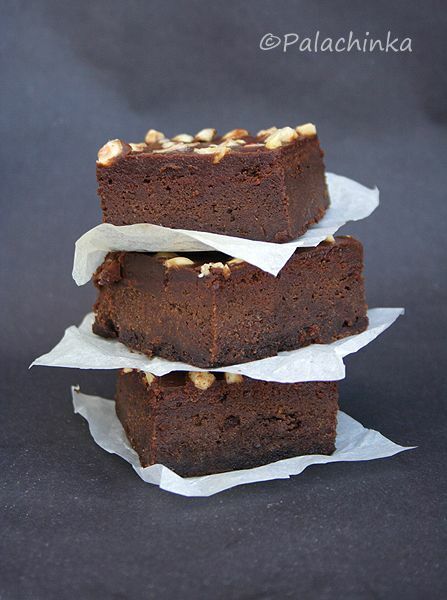 But, if you are able to find muscovado, make sure you get dark one for these brownies. Light muscovado is probably OK too and it’s more similar to brown sugar. These look like a very delicious brownie! Definitely going to bookmark this one! WOW kako dobro izgledaju, baš onako turbo čokoladno i sočno. Lara, you can substitute it with brown sugar. This look rich and delicious. Beautiful job.! In what section of a grocery store would you be most likely to find muscovado? I don’t think I’ve ever seen it. In my country we have an aisle in the supermarkets with all kinds of sugars. I found it there. I’ve also updated the post with the link to the one sold at Amazon. That looks wonderful. I love that you used muscovado. Terrific job on these brownies – dense and chocolaty. 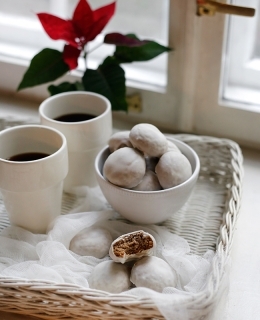 The muscovado makes them extra special! This looks amazing! Beautiful and tasty! Great job!!! Para darle un gran bocado. Seguro que riquísimo!!! WOW! They look fabulous so moist and tasty!! yummm!! Dense and super fudgy goodness. These brownies are awesome looking. My name is Alexandra and I totally like your blog and your brilliant recipes. I didn´t try a lot of them myself yet, but I had to try these brownies after drooling over your pictures for a while. They are perfect :-) Ok, I had to use brown sugar instead of muscovado, because I do not even know this kind of sugar nor do I have it at home. Thanks for sharing this great recipe with us! Made these for my husband’s brithday. He was over the moon about them. I’ve posted on my blog, they were great! Hvala lijepa! The brownies look so good! I can tell from the photos that they have a great fudgy texture. Julia, thank you! I like the idea of powdered almonds, if you do try it out like that, please let me know how it was. These look delish. I love muscovado and I love brownies. Can’t go wrong really. Oooh, those brownies look great! I love muscovado sugar.